"I was aware of the excellent reputation of Washburn's law clinic long before joining the faculty. It made my decision to come here an easy one. Our practical litigation skills training program is extremely well respected among other law schools. Students receive more individualized attention because this school offers a much more cohesive professor-student learning environment." Professor Francis began his career as a trial attorney for five years at The New York City Legal Aid Society, Criminal Defense Division. He continued his practice as a Supervising Attorney with the clinical programs at Hofstra University Law School, where he supervised students in the Criminal Justice Clinic and Housing Rights Clinic. Professor Francis came to Washburn to direct its nationally-renowned law clinic. He was Clinic Director from 1999-2011 and has resumed leadership in the Clinic as interim Co-Director. He teaches in the Clinic as well as in other areas of the curriculum. Professor Francis is admitted to practice in New York, Kansas, the District of Columbia, the United States District Court for the District of Kansas and the Eastern District of New York, and Prairie Band Potawatomi Nation. Professor Francis has also taught in the trial practice programs for various institutions and leads Washburn's pretrial advocacy curriculum. He also teaches first-year criminal law. Professor Francis' scholarly interests emerge from his practice and teaching experience. He has written on the intersection of criminal procedure and immigration law, jury selection, tribal court jurisdiction, and law clinic administration. 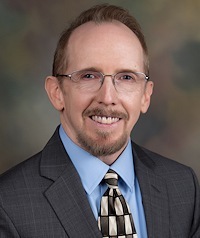 He has accepted a leadership role in clinical legal education as a long time administrator of the national Lawclinic Listserv and currently serves as a member of the Executive Committee for the AALS Section on Clinical Legal Education.